This is a special guest post by Rajiea Sultana. After taking a general education psychology course at Wayne State during my undergraduate years, I started exploring career options in the field. During this research, the industrial organizational (I/O) psychology field sparked my interest. I have always dreamt of becoming a Vice President in a human resources (HR) department of a large company. An I/O degree would be a win-win for me, because with it I knew I could work in an HR department and climb the ladder to the VP position I’ve always wanted. I started seeking internships in the field to gain a better understanding of the I/O psychology world, to obtain workplace experience, which is essential, and to become knowledgeable about the industry. My search for an internship lead me to discover Magnet Consulting, where I secured an intern position in May 2018. No, this is not a HR department, rather a consulting firm. They do the same work an I/O psychologist would do in a HR department, except for multiple different organizations rather than just one. This internship has been one of the most valuable experiences for me. I am learning about organizational culture, team and leadership development, and employee selection systems through my time at Magnet. My favorite learning experience thus far has been Magnet’s escape room activity, The Forge. Magnet understands team dynamics through observation of each individual while in the escape room. The way teams work together, or separately, can give us an idea on how they work in their workplace. This was a FASCINATING experience for me, because it is amazing what you can learn about each individual and how they work in a team just by observing what is being done and said while they’re in The Forge. After completing the task in the escape room, Magnet facilitates the team through a discussion of what they did well, what they could have been done better, etc. It’s a learning experience for all. My second favorite learning experience was helping the Magnet team better understand a client’s organizational culture. First, we conducted in-person interviews with a portion of the team, where we collected information on the work culture and leadership. Then, I helped create a survey to capture additional information from the rest of the team. Me. They let me create the survey. That was great experience. Together, we analyzed the data and created a PowerPoint presentation for the executives. This helped the executives to understand their organizational culture, what they were doing great and what areas needed improvement. I participated in that meeting; so basically, I saw the process from start to finish with guidance from the managing principals. I also listened to behavior-based interviews, and it was just a wonderful learning experience. Simply because I have done behavior-based interviews myself, where I was the interviewee. This time, listening from the interviewer’s side, it taught me how to better prepare for my next behavior-based interview. My time at Magnet Consulting has not only helped me realize that I/O psychology is the field for me, but more importantly, helped me realize working at a consulting firm would be more ideal for me. I started at Magnet thinking I would gain exposure to the I/O field and eventually apply it to my future job in a HR department. Instead, my eyes have been opened to this other aspect of I/O psychology that I was not familiar with before this internship. 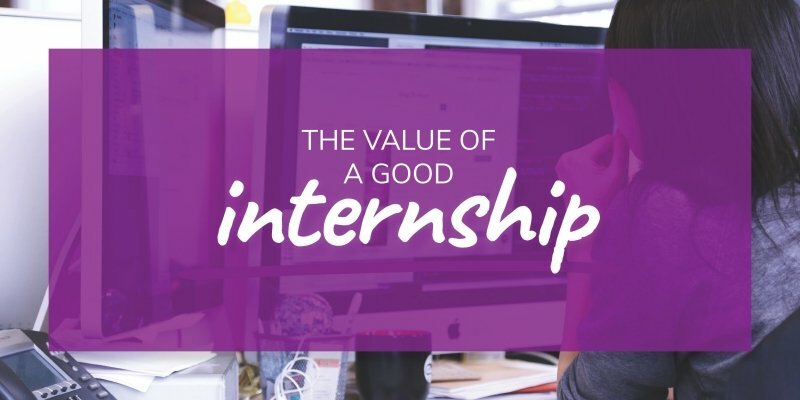 Can you see why internships are super valuable?